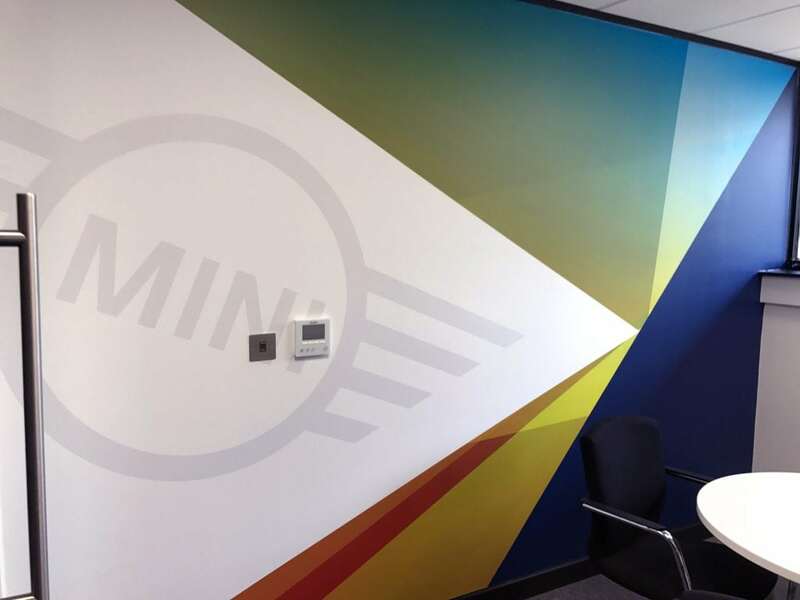 Sytner Mini/BMW is a premier Mini and BMW Retailer with branches nationwide. 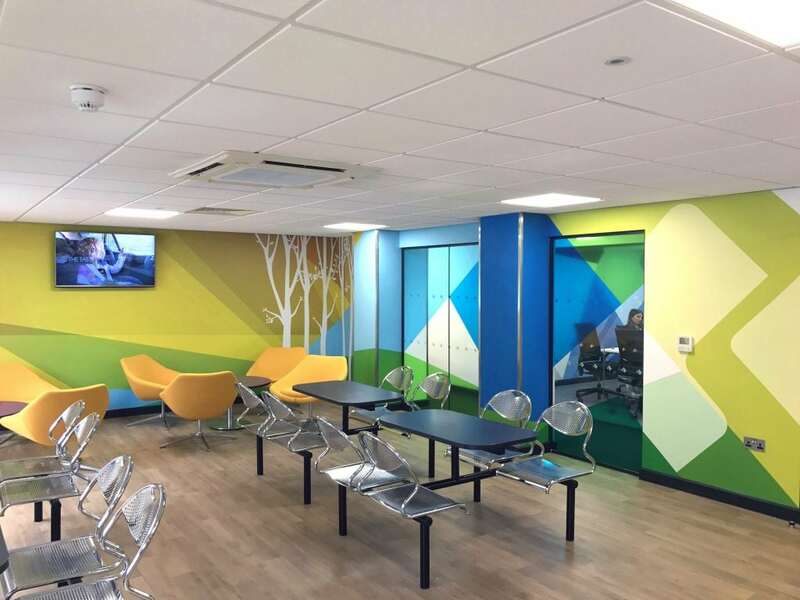 They approached Soulful to transform their Mini customer care centre in Leicester. 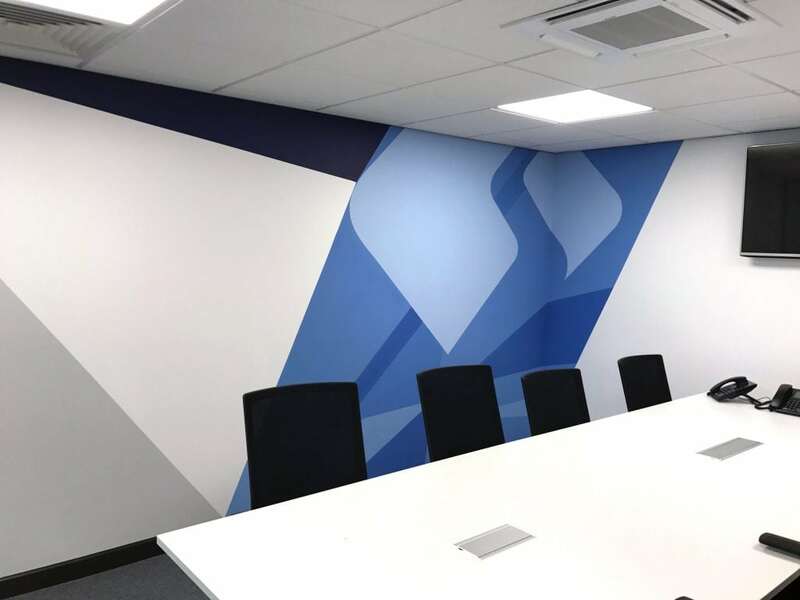 The large offices provided a fantastic blank canvas for the team, with the brief being to deliver energy and brand synergy throughout. 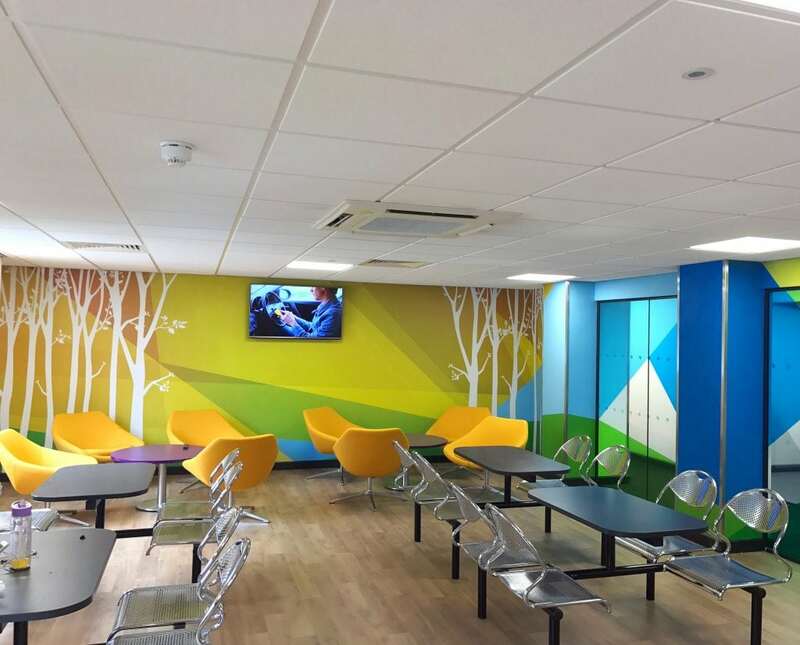 The work would need to be done whilst staff were on-site as the centre is operational 7 days per week. 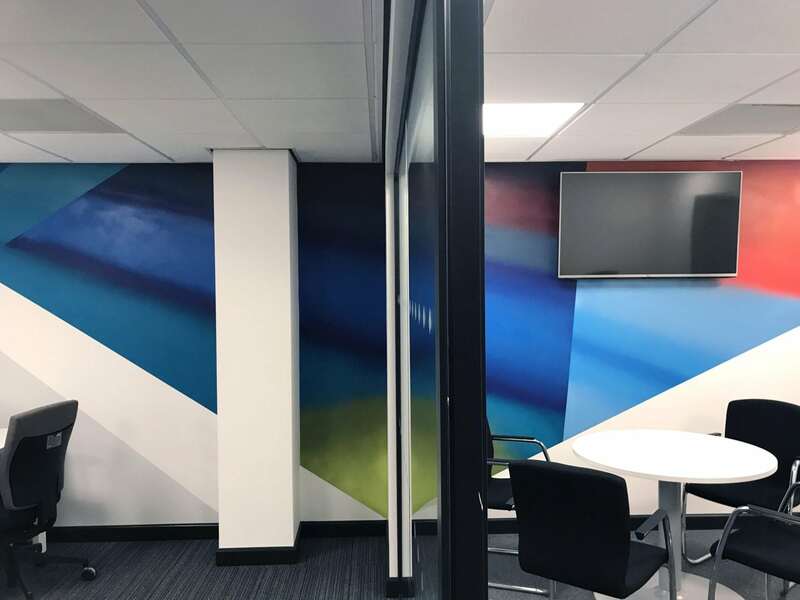 With lots of space to be transformed in a short time frame, our design used predominately digital wallpaper and glass manifestations which are quick to apply, but with accents of hand-painting to add ‘pop’ and depth. 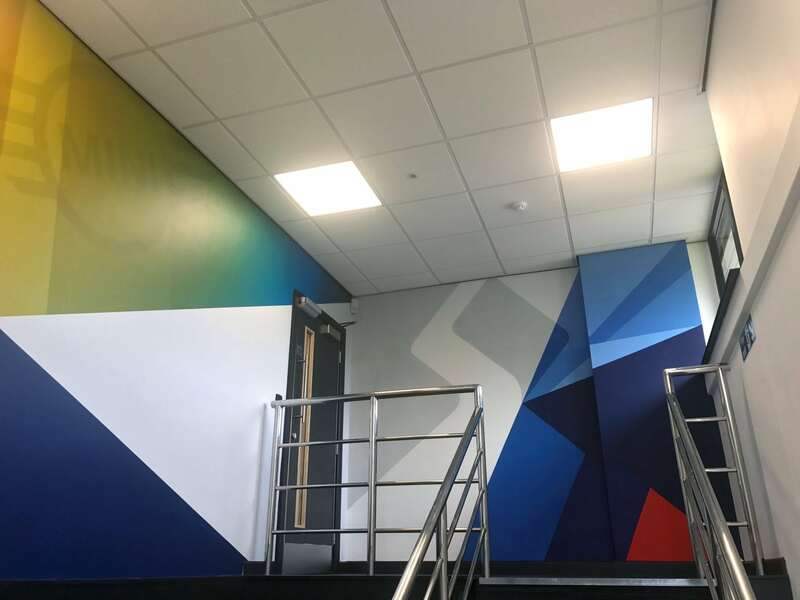 Graphical shapes in a varying colour palette were used throughout the design – but with different designs in each area to define the different spaces. 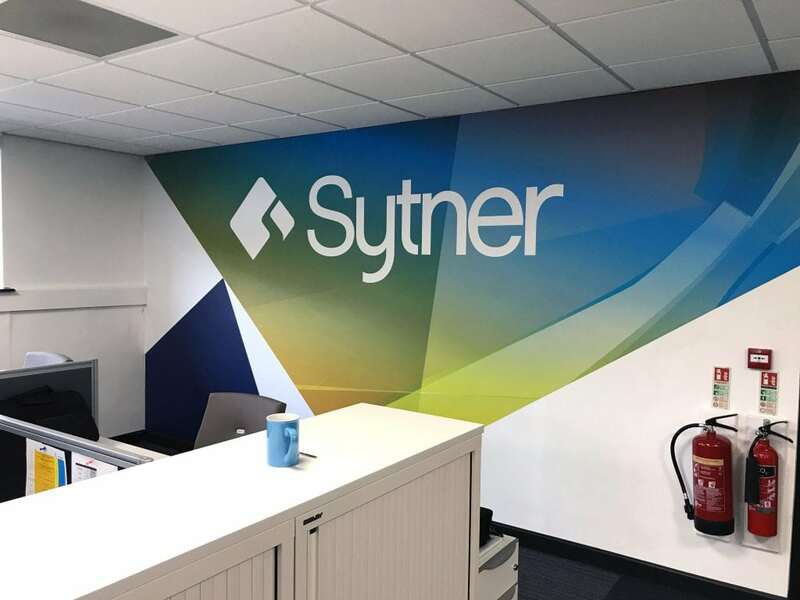 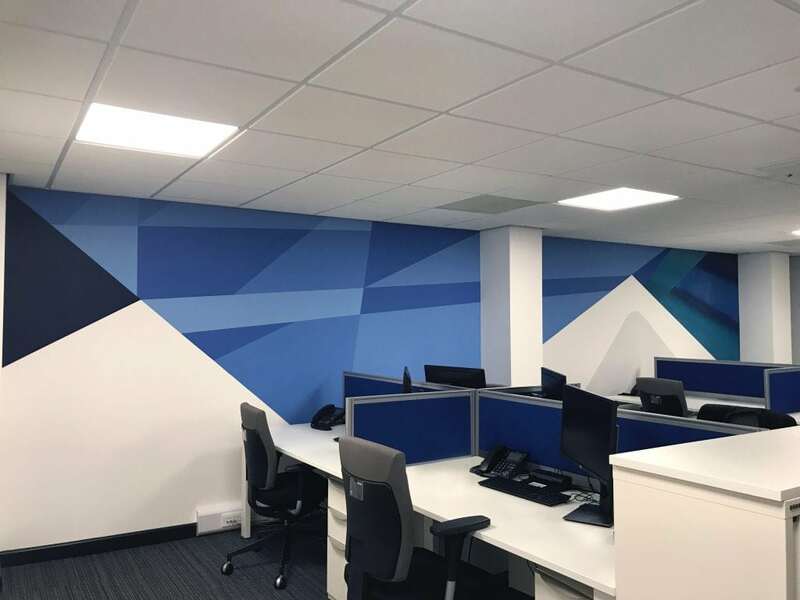 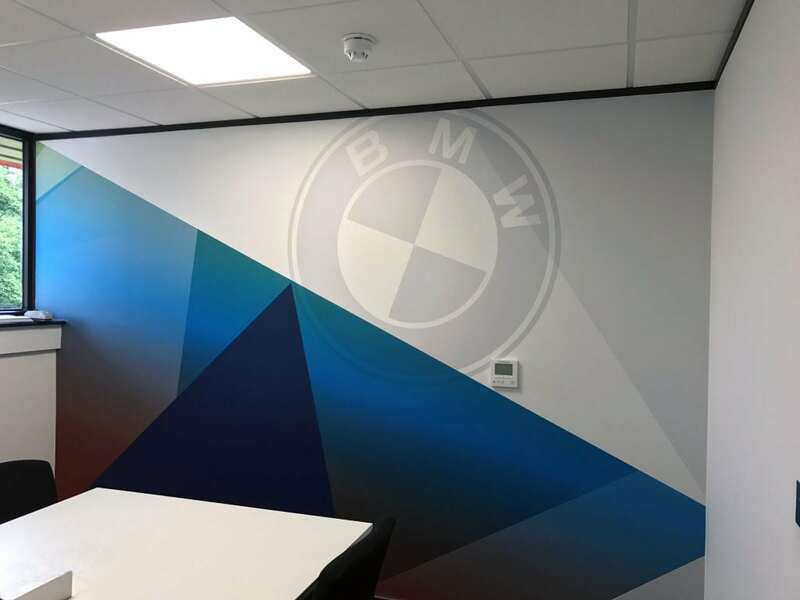 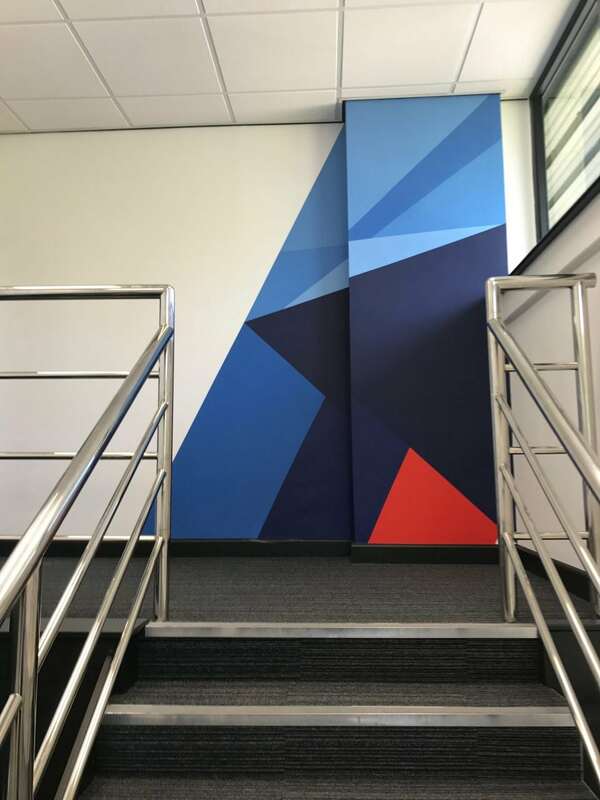 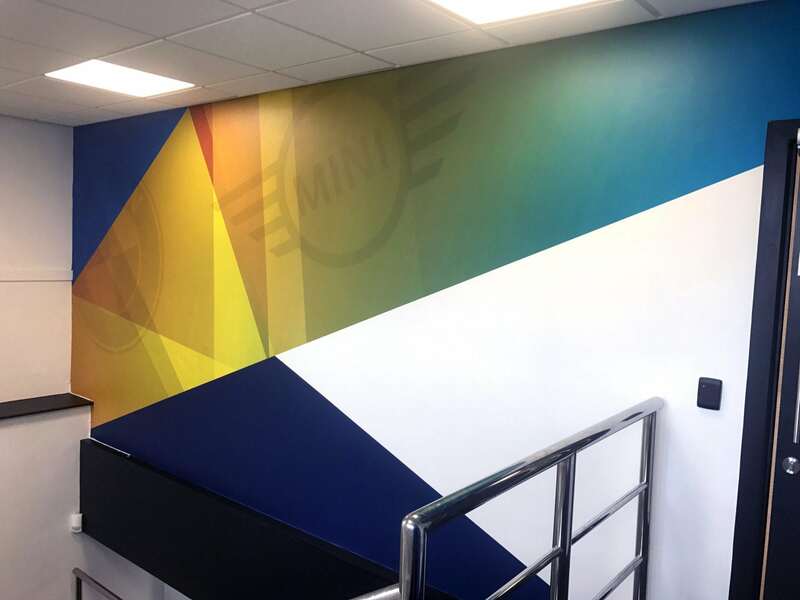 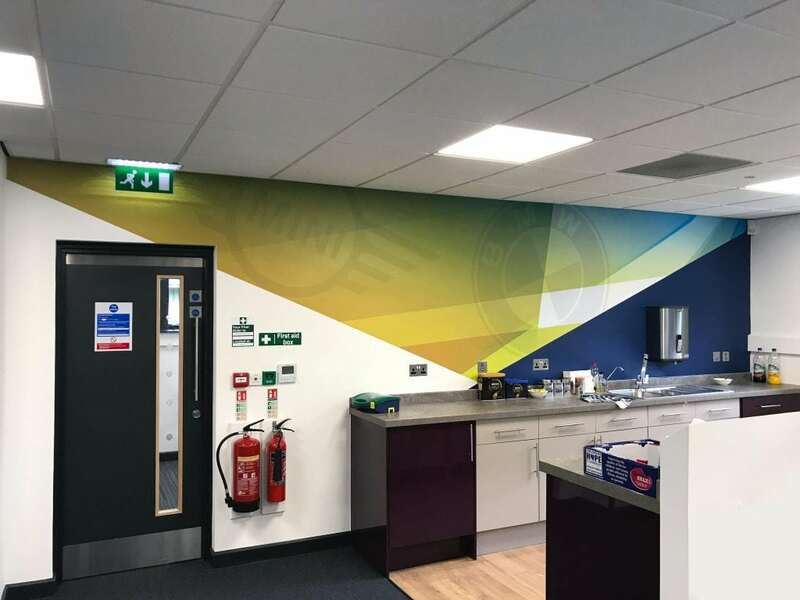 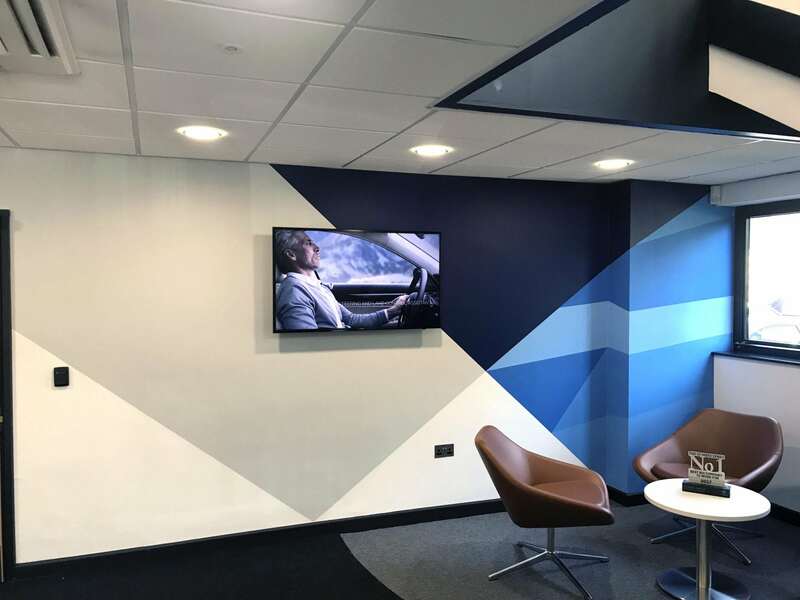 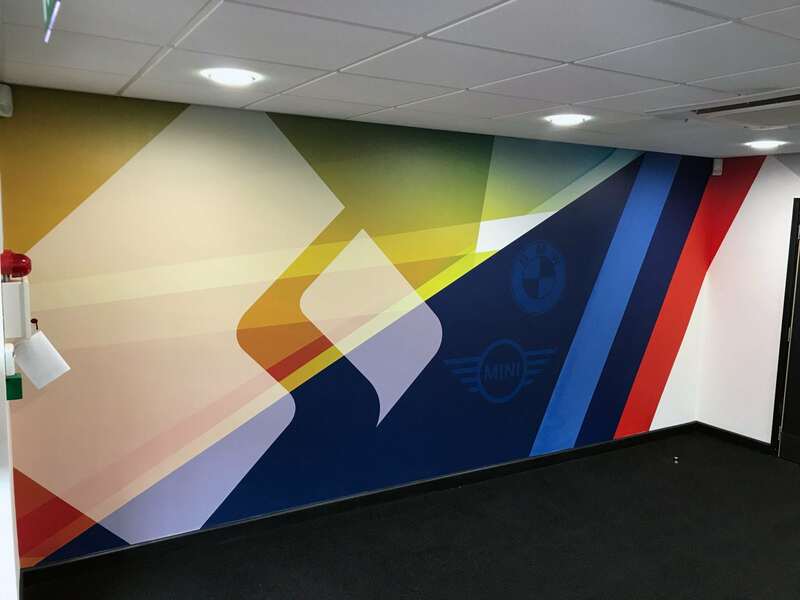 Branding was high on the priority list and was achieved with watermarked BMW and Mini logos throughout with large Sytner logos scattered through the office space.